Forty-eight thousand-year-old crayons and shell beads were among a treasure trove of items unearthed by archaeologists at a cave in Kenya. “It is the most beautiful site I have ever worked on. As soon as I saw it I knew it was special,” Dr Shipton said. “It has a continuous record with people there right up until 500 years ago. 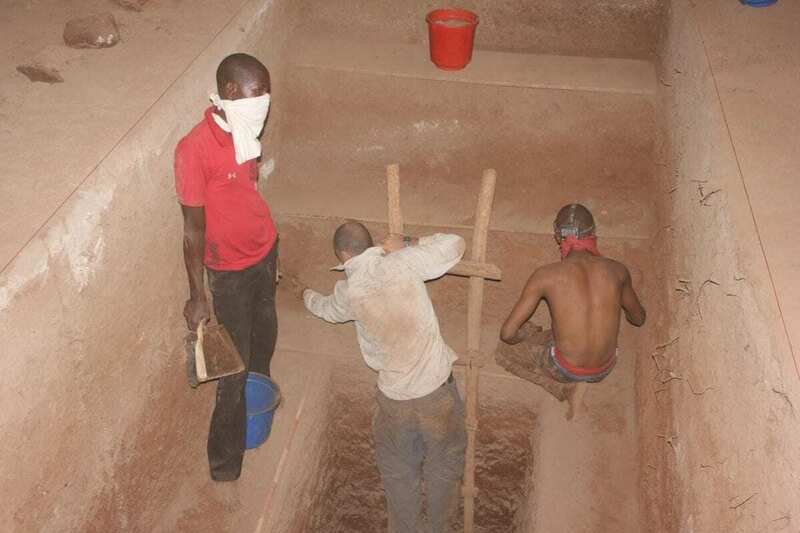 Dr Shipton said the site, on the Kenyan south coast just north of Mombasa, was providing new insights into the Later Stone Age – a period of time beginning about 67,000 years ago associated with the rise of modern human behaviour and culture in Africa. “You start to see things like decorated bones, beads made from marine shell or ostrich eggs, miniaturized stone tools, and bones carved into things like arrow points. This is the oldest date we have for when this behaviour is first observed,” he said. Items found in Panga ya Saidi cave. 1. A decorated bone 2. A broken bone arrow point 3. An awl made of tusk 4. An ochre crayon. 5-9. Ostrich egg shell beads, 10-13 are marine shell beads. Other items: miniaturized stone tools. Credit Francesco d’Errico and Africa Pitarch Marti. “Early humans liked to be on open grassland where there is a lot of large animals for hunting,” Dr Shipton said. 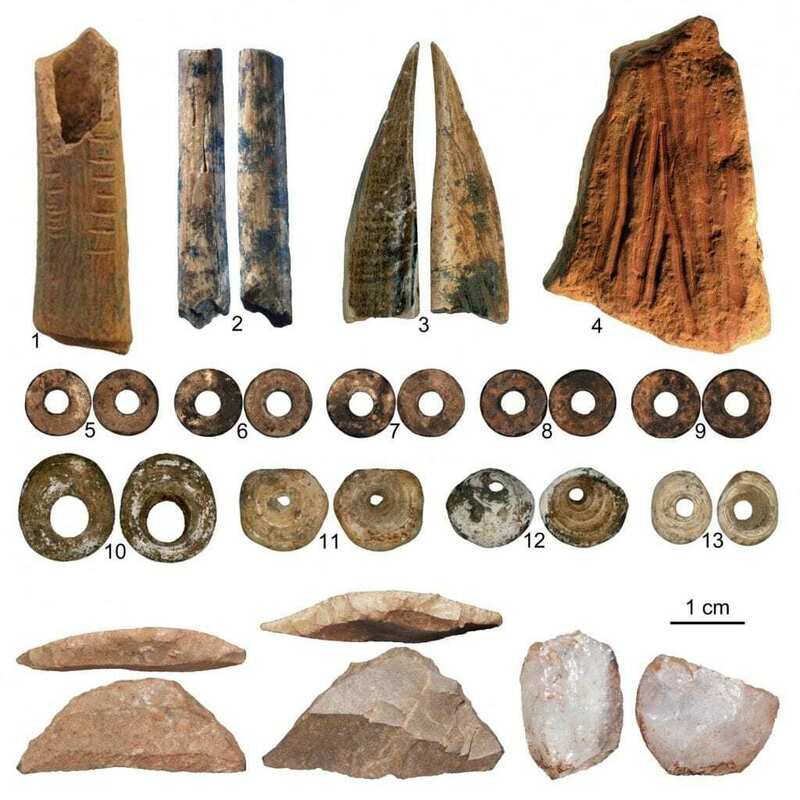 “the site documents the earliest evidence of this style of microlithic Later Stone Age technology and shows how early modern humans were able to adapt to a range of new environments at this time,” Professor Herries said. “The stone tools are still sharp. The beads and engraved bones have survived intact which is really rare,” he said.